So last time I talked about the idea of to-go style devotion bags, and the success we have had with them. I wanted to talk about something that every church is probably doing, but wants to see improved success in. Take home activities. I’d imagine you’re all in this boat with me. You have great Sunday and/or midweek activities and then when the kids leave you just hope it gets followed up on at home, and often you’ll send home something to try and support that. But how good really is this process? 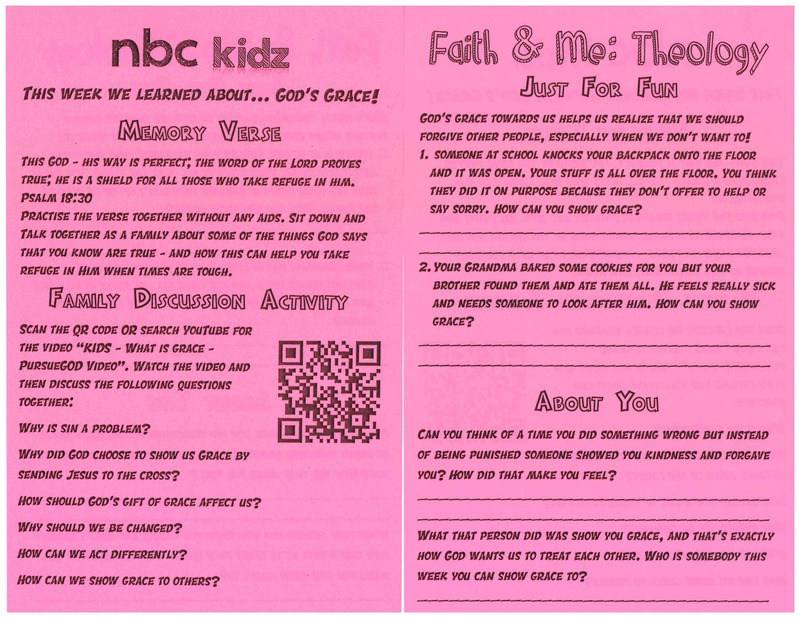 We absolutely love the curriculum that we use on Sundays, we have for years. However, the take home element is an area of weakness, in our minds. The activities for younger elementary children are in my mind too babyish, the bar is set a little low. Whereas, the activities for older elementary children aren’t honestly all that fun. It’s an area I want to work on because I believe, much like I mentioned last time while using the words of Timothy Paul Jones, that parents require high quality tools from the church to help them lead their children at home. So, we have for years now written our own stuff on Wednesday nights. It takes time, but I love it. We get to choose topics we think our kids will benefit from, and gauge the activities with them in mind, differentiating for different age groups. Our goal is to get them thinking, and stimulate conversation. My view is that my large group teaching isn’t actually the main learning opportunity – I just want it to grease the skids. 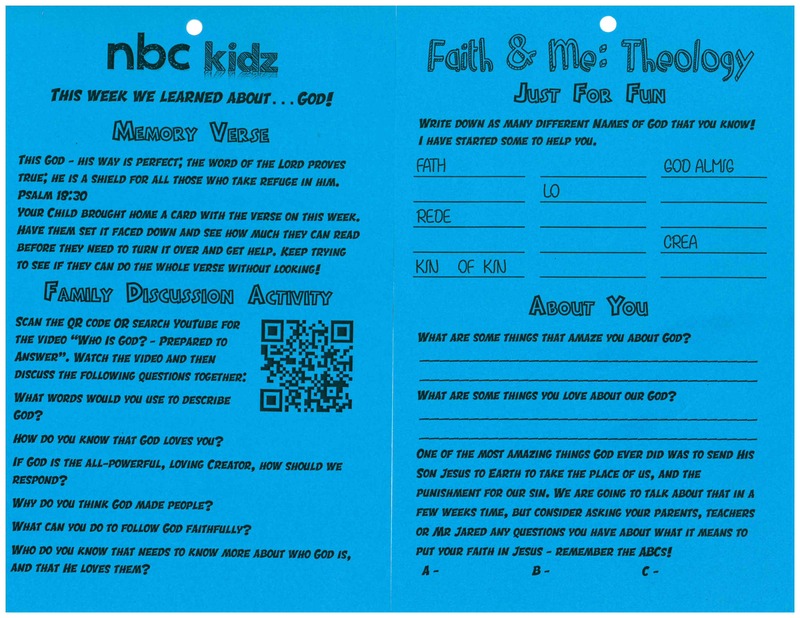 Then, when the kids are in small groups they will discuss key questions that will get them thinking about what they really believe. 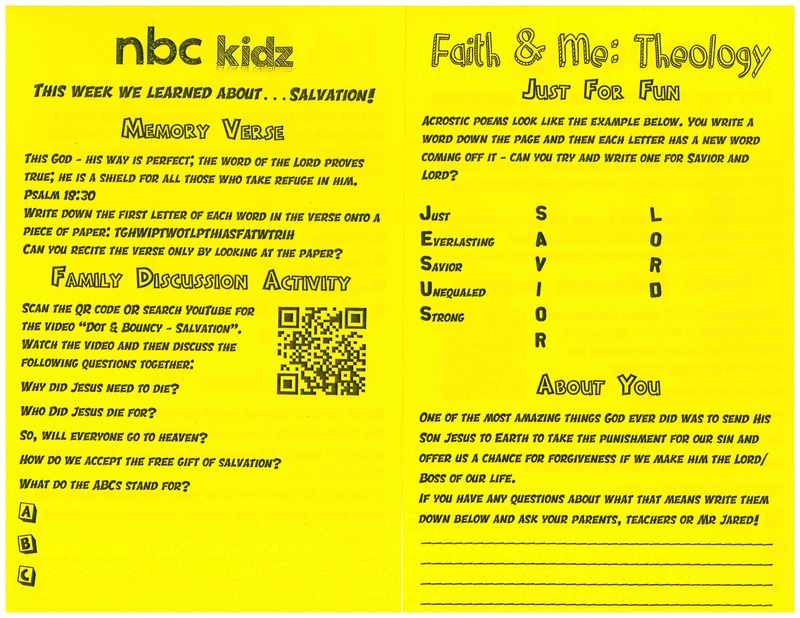 Finally, their take home activity is designed to build on those conversations in the home. It’s a three-part model whereby if each part is working well I believe there will be significant impact in the lives of our children. Each take home is split into four sections every week. 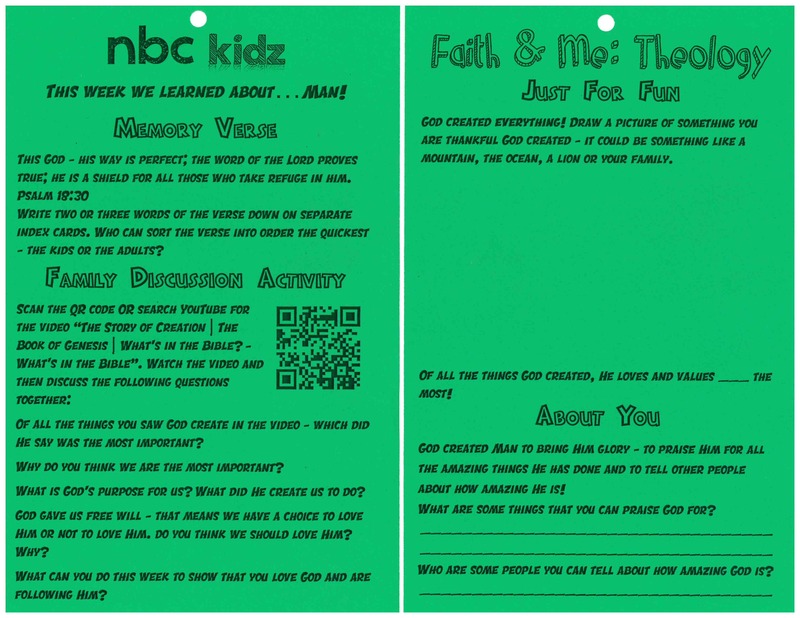 The first one revolves around our current memory verse with a suggested activity for families to do together. Some are purely based on scripture memory and others revolve around discussing the verse and its implications. We will include a media stimulus in with our take homes every week. We have tried online quizzes in the past but generally feel like a short 2-4 minute YouTube video is best. The intention is a family would watch that together and discuss the questions we list, alongside any other questions the children may have. I try to include something related to the story here. You can see lots of different examples. Your older kids may be able to do this on their own, but younger ones may still need help from a parent or siblings. 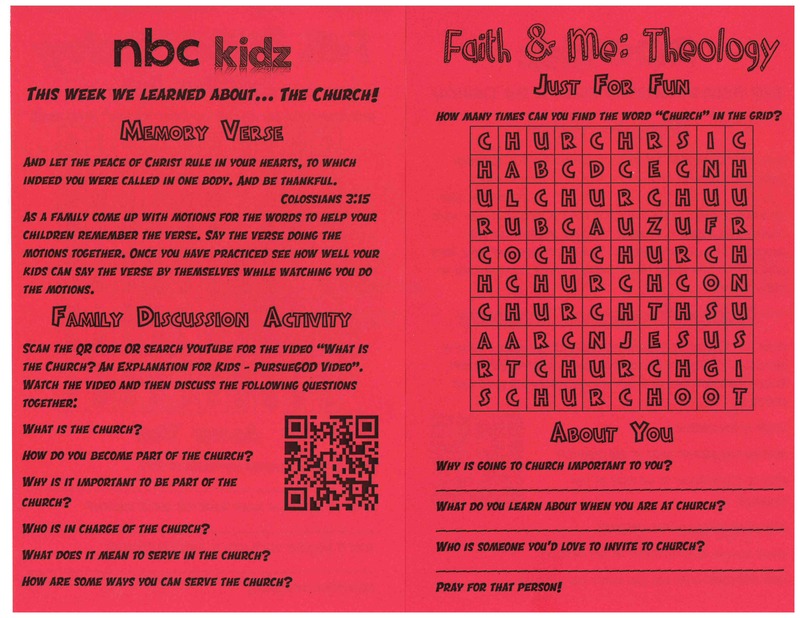 We all want kids to own their faith right? Well this is where we try and do that – ask them to honestly respond to some questions relating to what I talked about in large group, their teachers talked about and now their parents have also talked about. This is why I said what I did before about the importance of the take home. I see all the work beforehand as laying the foundation and building up to this – we are trying to set up our families for success in devotion time! That’s a little insight into what we do. It’s a work in progress because I still feel like there are improvements to be made with what we send home on Sundays. Now, you may have read what I said in this article about the likelihood of a take home page actually making it out of both the church building and the car. So having put thought and care into these activities, its not enough to hand it just to a child and cross your fingers. We’ll talk more next time on what I do to deal with this problem – it’s still a work in progress but hopefully some helpful ideas!